I listened to this book on audio and it held my attention all the way through. The author doesn't read it, but I felt like she was. The narrator was sincere and easy to listen to. Corrigan shares stories of growing up as her dad's "Lovey". She is the quintessential "Daddy's Girl" even as an adult woman who lives all the way across the country. After becoming a mom to two delightful girls, the author finds out she has breast cancer. Even though this is a big part of the book, it doesn't overshadow the love she shares as a wife, mother, and especially a daughter. When her father is diagnosed, the third time, with cancer while she is going through her own cancer treatment, her view of life changes. But again, it is a lovely memoir of a daughter, wife, and mother going through the stages of life and all those lessons that appear more vivid as we look back on them. She's a great writer who is honest, witty, and real. Just when I was thinking, "I can't believe she said that! ", the author would say, "I know I can't believe I said that either." Lots of Aha moments and life-altering events to identify with. 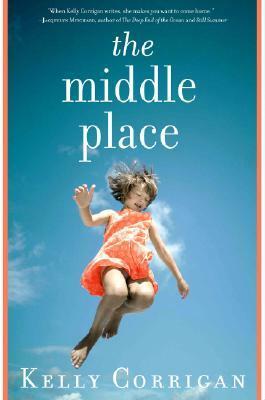 Sign into Goodreads to see if any of your friends have read The Middle Place.